New Year is always renewing old things or even parting with them. In connection with this tradition, the logic question arises: what would you like to change, update in your life? Well, of course, the situation around you. Simply put, the interior of your apartment. 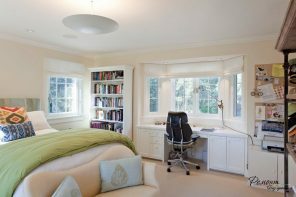 But not everyone can afford such a “swing”, but to update or even completely change the interior of a room, for example, bath – this is a feasible task for many people. And then there is another question – how should the bathroom look like in the new year? We hope you will find the answer to this question in this article. 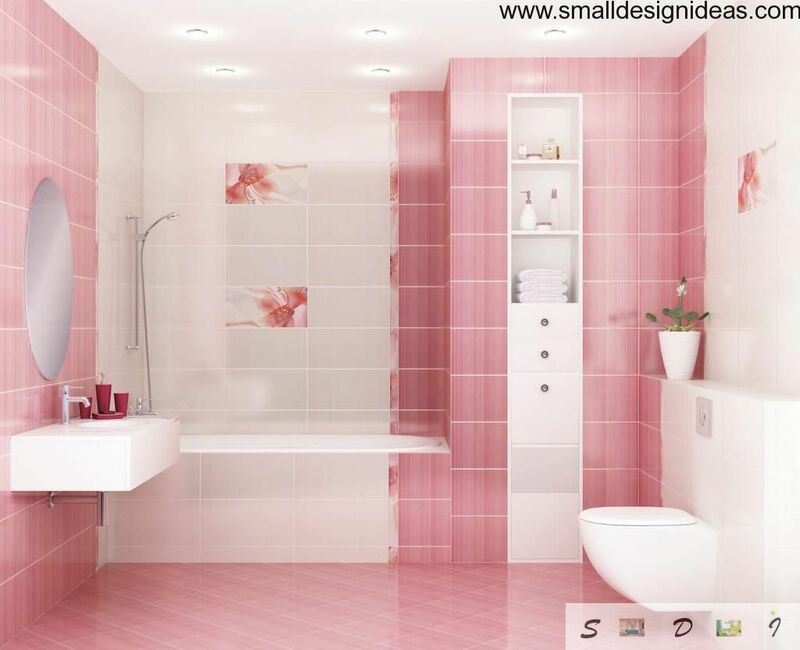 So, let`s get acquainted with your new bathroom! First of all, let’s talk about finishing bathroom. The current year will be characterized by bright colors and tones are close to them. Of course, with such design trend, there are white and beige colors would be dominant. The presence of other colors is possible, but they can`t be bright or vivid in any case, as it violates the design concept in the New 2015. 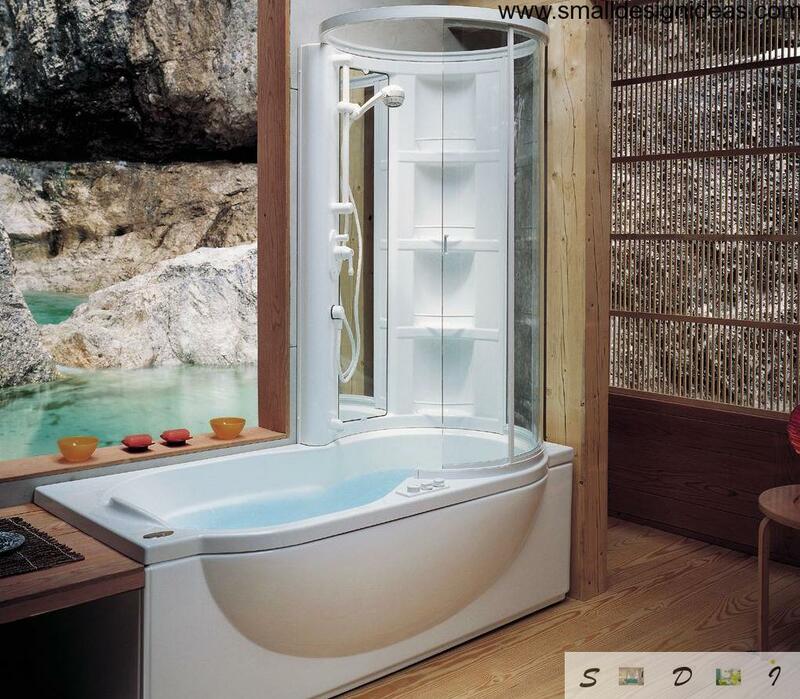 Bathroom, especially if it has a steam room, should radiate heat, not only physical but also emotional. 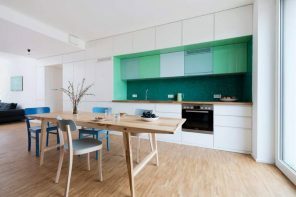 This effect will be reached by surface, lined with wood or any other material which has the color and texture of wood. 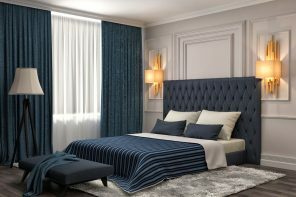 Basically, it is possible to use dark colors, but it will hardly help raise your mood after a hard day. We should not forget that the bathroom is, above all, to stabilize your mental state, impaired by daytime stress. 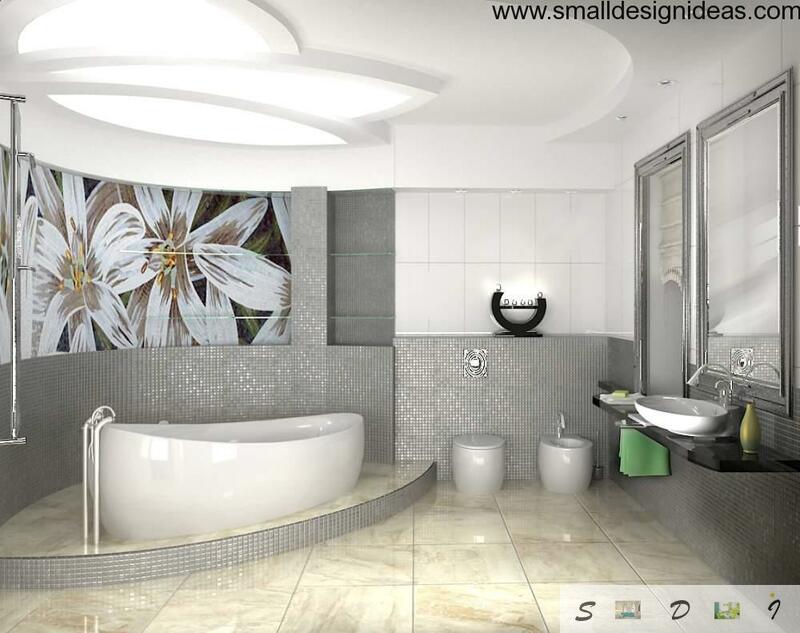 But it`s only you to decide what do you want to update in a bathroom in the new year. 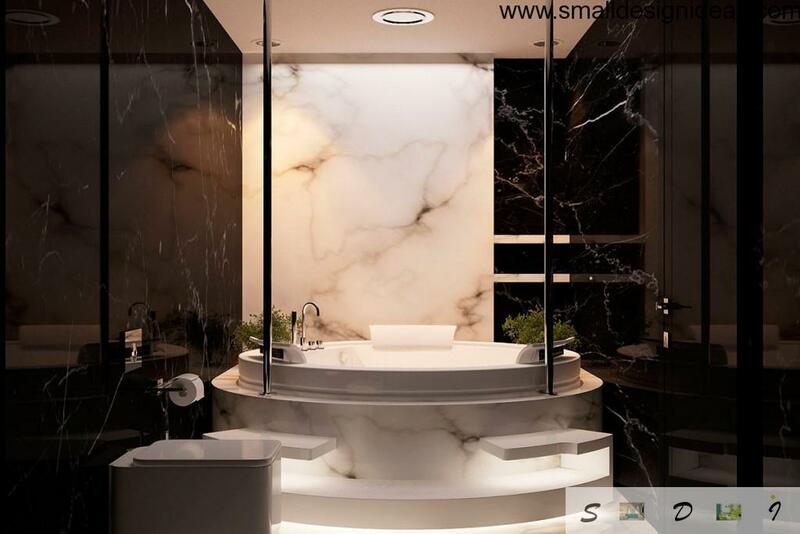 Dark colors are perfectly harmonize with the dominant colors, if you use them as a contrast that will allow to stand out favorably the main background cleanliness and hygiene of the bathroom surfaces. It is best to use dark colors which suit to the floor. It`s not bad if one of the walls is also of dark color; and if it is faced with the same mosaic tile, it will be excellent. 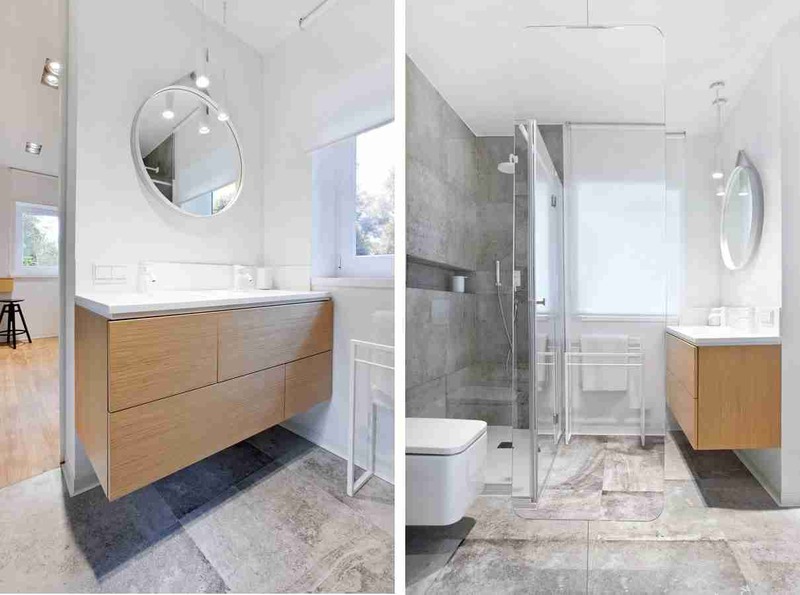 When you determine the color and materials for finishing the bathroom, decide what will we have in the bathroom, and how will it look in the prospect of new design solutions? Designers always looking for new solutions. One of the objects of their search is the bathroom. This year a new solution is rectangular tub lined with wood or other material with the structure of the tree. Another feature of the bathroom of today is that it is embedded in a kind of podium, at the same time, “construction” can cover a large part or even the entire length of the wall. However, standard round-shaped tubs will not be thrown away this year. Toilets and sinks have undergone similar changes. Their form should be rectangular, the color – white. Structurally, they will be carried separately from the toilet table, out of its design. Nightstands will have the original design of suspension construction. Toilets will also be suspended. All communications will be built into the wall. Showers remain unchanged generally. They can be booths both gated and transparent type. The union of the shower with a bathtub will be all the rage. This solution will save your space and money. 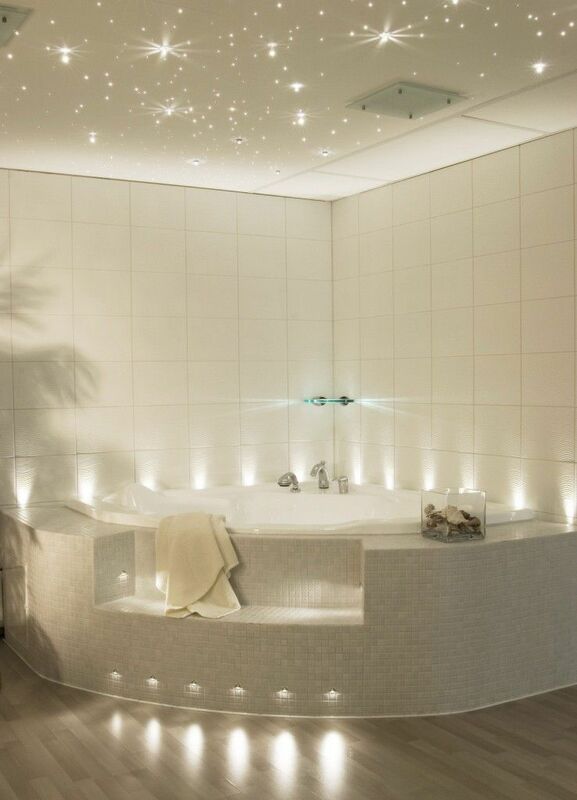 As beautiful decor for modern bathroom you can use the original layout of lighting. Today bathroom is unthinkable without built-in backlight. It can be allocated not only in a mirror, but the very bathroom that would look great in a darkened room when you do not need bright lighting. Lighting of the entire room can be arranged with spotlights, built into the ceiling, or an original design with modern hanging lamps. There should also laconic forms be observed. Mirrors are always been and always will be the main attribute of the bathroom. 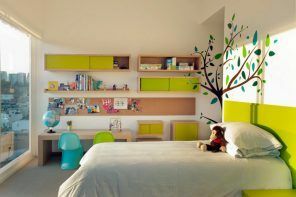 Although today the mirror has no framing of colorful frames, everything is simple and succinct, there is only lighting. Of course, the mirrors are also important in the matter of increasing the visual space of the bathroom, but it is important for small rooms. 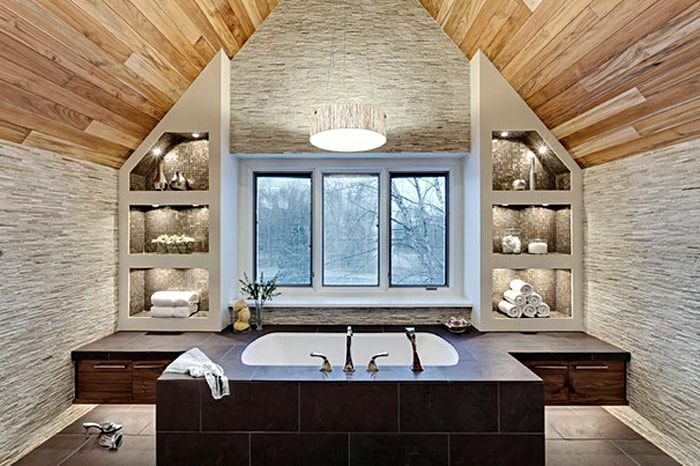 We hope that our article has given you an idea of the trendy interior bathroom in 2015. At the same time, we want to remind you that fashion comes and goes, and the bathroom, decorated with this fashion, will stay in your apartment. That`s why, before blindly following of the fashion, beware, if you need it. Because changing the interior of the bathroom every year, to put it mildly, is expensive.